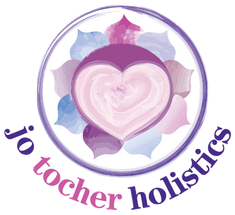 As a Holistic Therapy Practitioner and Aromatherapist we continue our development each year to ensure we are keeping up with new information and techniques. 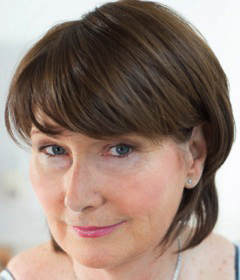 My most recent extra Holistic Therapy development course was in Menopause (facilitated by Jo Kellett – From the Seed). Menopause was of course covered in my original training, however it was good to do it again and focus solely on how the Aromatherapy Essential Oils can help with some Menopausal Symptoms. Menopause – From the Greek – Menos = Month Pausos = Ending. “A naturally occurring phase of a women’s life, not something to be fixed or altered, just embraced.” That quote got me thinking – how many women embrace the change? For a great many women, the feeling of embracing Menopause is an alien concept because it often represents that a woman is past her best, dried up, invisible and alone. Now I wouldn’t necessarily agree with that as I tend to focus on the positive side. Think of the wisdom we have, we tend to be happy within ourselves and know ourselves more and also as we get older we are free from the burden of what others think of us. Aromatherapy Essential Oils can help with many of the above. I would always recommend that you see a fully qualified Aromatherapist for a full consultation, they will then recommend the oils that are best for you. The oils are blended and administered by massage. You’ll feel wonderfully relaxed after and the Essential Oils used will be doing their work as you relax. You can also use Essential Oils at home by using an Aromatherapy diffuser, or burner, popping some into a bath and soaking or making up your own blend with a vegetable carrier oil base (such as Sweet Almond Oil). Such a treat to relax and unwind in this way. There are a host of Aromatherapy Essential Oils that can be used but for ease of purchase I’ll talk about the most well known ones….. When blending these oils into a Carrier base so that you can use it on your skin, start with 20mls of Sweet Almond Oil (or any other vegetable based oil) and put up to a maximum of 10 drops of Essential Oils in total. It’s best to choose 3 essential oils to work with. I’d advise to rub around the neck and chest area, lower back, the inside of arms, inner thighs and soles of feet before sleeping. Not only will you smell wonderful but it will help you get a good nights sleep. Regular use can also help reduce hot flushes. I just read your article from the Menapause Hub, I’m very interested in using oils at home, I suffer from Anxiety, lack of restful sleep at night, vaginal atrophy, what mix of oils should I blend with a carrier oil that will help to relax me & also something to carry around in my bag through the day as Fatique can creep up very quickly causing me to crash. I would value your advice & where to buy the oils either from you or I know of a specialist shop in Leeds that sell essential oils & carrier oils too. I had my hysterectomy 4 years ago & I’m currently on HRT, I chose to keep my cervix only. Many thanks for your response to my article on using Aromatherapy Oils for Menopause. I would recommend that you make up a blend of Frankincense, Geranium and Chamomile to help ease your anxiety and help towards a restful sleep. Buy some Sweet Almond Oil – measure out 30 mls and add 7 drops of Frankincense, 5 drops of Geranium and 4 drops of Roman Chamomile. Put in a small bottle that can be closed and use it at night before bed. Rub around neck, chest, lower back, inner thighs, inner arms and soles of feet. For energy during the day, some of the best oils to use are Rosemary, Basil, Geranium, Vetiver but for ease I would recommend getting this Remedy to Roll https://uk.nyrorganic.com/shop/jotocher/area/shop-online/category/remedies-to-roll/product/2741/energy-remedies-to-roll-9ml/ It’s already made up for you and you can keep it in your handbag and use during the day. You can also buy the Essential Oils I mentioned from the same website and also a base oil. I always use Neal’s Yard remedies in my clinic – they are excellent quality. They also have pre-blended oil that you can buy if you don’t want to buy a lot of different oils. Women’s Balance is a great one and has a few of the oils I mentioned. Regarding vaginal atrophy – I wouldn’t use essential oils in that area as the membrane is too thin and would cause discomfit. Aloe Vera Gel however would be good to use. What Are you using anything for it at present?